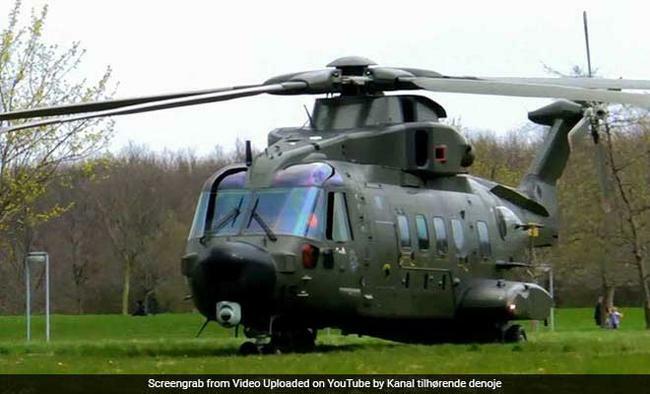 New Delhi: A court here on Wednesday granted bail to two more accused arrested in the AgustaWestland VVIP helicopter deal case. Central Bureau of Investigation (CBI) Special Judge Arvind Kumar allowed the bail pleas of the former IAF chief S.P. Tyagi's cousin Sanjeev Tyagi and Delhi-based lawyer Gautam Khaitan and said that "no purpose will be served by keeping (the) accused behind the bars". The court asked the two to furnish personal bonds of Rs 2 lakh and sureties of the like amount each. "The correctness or otherwise of the allegations as to whether the accused has taken the kickbacks and in what manner he was connected with the same can only be looked into during the course of trial," the court said. Both were directed not to leave Delhi without prior permission and join investigation whenever required. They were also warned against tampering with evidence or influencing witnesses in the case.The court noted that the accused have roots in society. Lawyer Pramod Kumar Dubey, while seeking bail for client Khaitan, argued that he has been falsely implicated and had joined investigation a number of times as and when called. Former Indian Air Force chief S.P. Tyagi was arrested on December 9 but bailed out on December 26. The CBI has since moved Delhi High Court to seek cancellation of Tyagi's bail. The CBI has alleged that Tyagi and the other accused received bribes from AgustaWestland and helped the manufacturer win the $530-million contract to purchase the helicopters for the Communication Squadron of the Indian Air Force for ferrying the President, the Prime Minister and other VVIPs. A FIR was registered against the accused on March 12, 2013, on charges of criminal conspiracy, cheating and under the Prevention of Corruption Act.